With the pressure of increasing intense on our environment, lots of environment friendly projects, architectures and designs have been created. 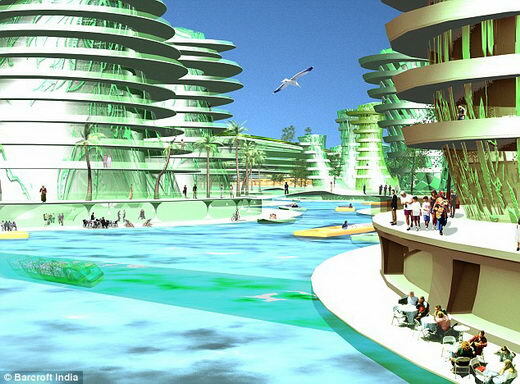 And I can foresee more and more those sustainable designs will be come up and come true. Today, we will feature another incredible proposal “Plastic paradise – CGI images show how a team of Dutch scientists plan to take 44 million kilos of plastic waste currently bobbing around in the Pacific Ocean and transform it into Recycled Island“. AN island the size of Hawaii made entirely from plastic bottles could become the hottest postcode on earth, and is part of an incredible environmental vision for the future. 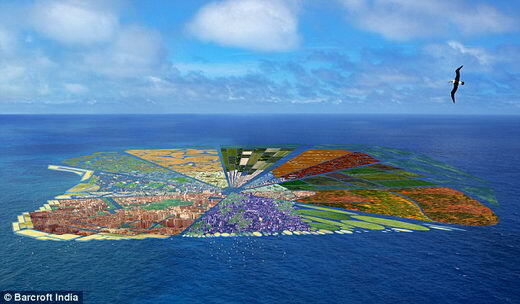 It is said the island will be designed as self-sufficient, providing food and work for the inhabitants. 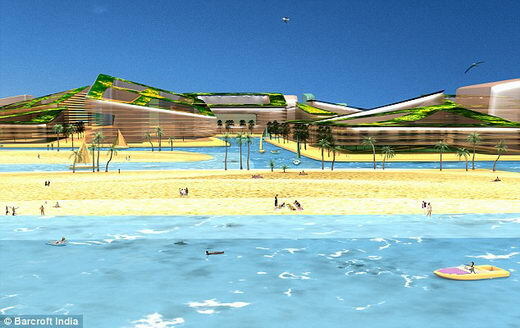 A spokesman for the project said: ‘The proposal has three main aims; cleaning our oceans from a gigantic amount of plastic waste; creating new land; and constructing a sustainable habitat. For me, it does sound good, but I have a deep worry. How are they planning on keeping the plastic from degrading and decomposing into those tiny little pieces? How about toxic chemicals that it leaches into the water and from there, into the food chain? Maybe those scientist have their plans but we don’t know yet… I hope they have figured out all those things before make that floating island real. Embracing this Summer with some Super Cool Black Ice Cream?